So you want to the best views in New England? Well dear reader, you are going to have to work for it. As someone who loves the mountains I may be biased but in my opinion, some of the best views of New England are seen from her highest summits. A year ago today, I was standing on top of Mount Katahdin, Maine's highest summit and my last New England peak to conquer. 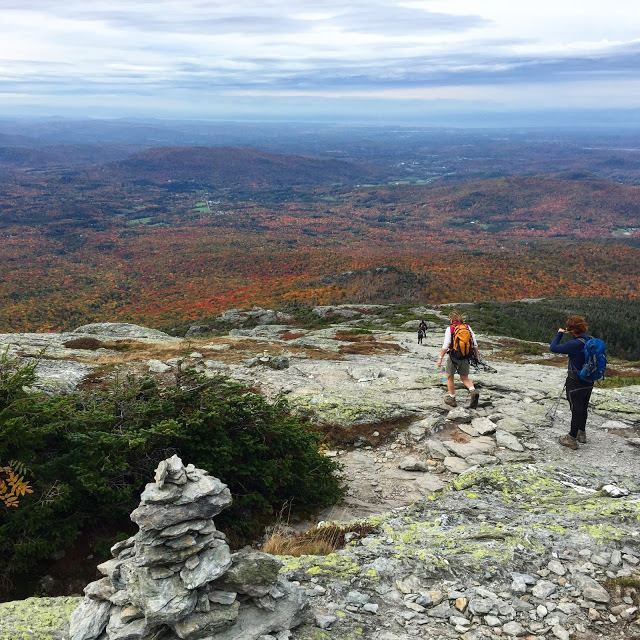 Conquering all six New England summits took a lot of planning (like a lot, a lot). But let me tell you, that feeling on the top of that last mountain, surrounded by awesome friends and the most amazing views of Maine knowing I had just planted my hiking boots on each New England state's highest summit felt g-o-o-d. It's worth the planning, every hour in the car, and every uphill climb, even over those boulder fields. 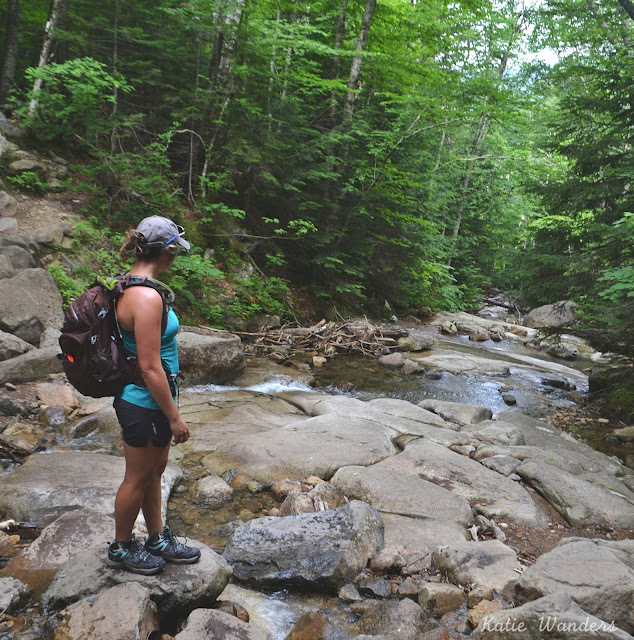 It's not a challenge for everyone as some of these hikes (read Katahdin and Washington) force you to scramble up craggy peaks and boulder hop for what feels like a lifetime. But if you are up for the challenge, start putting one foot in front of the other on the closest summit to you. And then come back to tell me which was your favorite. Don't worry, I will help... let me give you all the info you need (individual trail guides included) to get you to these amazing views. My trail guides and overviews are listed below in order of the highest summit. We start with Washington, the highest peak in New England, and end with Jerimoth Hill in Rhode Island (a drive, a walk, barely even a hill, we aren't even counting this as a hike). The lengthy trail guides are included with links and a quick overview of each hike is included below. For more photos and specific details for each hike, follow the link by state. You want to really experience New Hampshire (live free or die they say)? 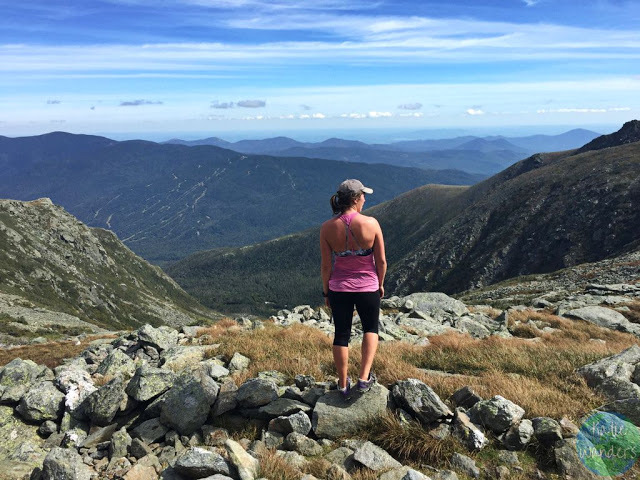 You need to test the weather and your stamina and hike to the top of famous Mount Washington. Battle through the crowds at the summit, visit the museum, and then enjoy the quiet hike down while everyone else takes the shuttle. Expect to see sweeping views of New Hampshire (like this above) while making your way up New Englands highest summit. Mighty Washington was a fun mountain to tackle with friends. Courtney, Thatcher, Leni the boxer and Olive the houndrador joined me for this epic and famous hike to Washington's summit. Mount Washington is "fondly" known as "the most dangerous small mountain in the world". While the distance and elevation offers it's own challenges, the weather here is unpredictable and can change fast. The highest wind velocity ever recorded at any surface weather station (231 mph) was logged here on April 12, 1934. 137 fatalities have occurred on the mountain since 1849. We lucked out with amazing weather which also meant we had to deal with some crowds (we were also well informed and over prepared #layerslayerslayers). We went up famous Tuckerman's Ravine which was busy but so beautiful. The view (photo above) at the top of the ravine, right before #BoulderFieldFromHell will actually take your breath away. I also remember seeing the line of cairns dotting the horizon leading to the Lake of the Clouds Hut. The summit is a mob scene as there is an auto road, shuttle service, and railway that takes visitors to the summit, complete with gift shop, cafes, and a museum. While the trail up and the summit was busy (I followed the most popular trail), very few people actually hike back down the mountain and a lot of them take the shuttle back down. We were so excited to see we basically had the trail down to ourselves. If you really want to see Maine - rugged backcountry, high mountain lakes, wild beautiful Maine - you need to stand on top of Katahdin. Baxter's Mount Katahdin offers a remote landscape with some technical hiking and knife like jagged peaks (yep, her famous Knife Edge). See Maine's lakes, streams, and mountains in a beautiful area void of cell phone service. Red Tape: This park is highly regulated, even doing to day use parking. Making a camping reservation four months out (rolling reservations) is required if you want a spot in the popular season. Check out my Baxter State Park post for everything you need to know. Also, this hike has some cliff edges and parts where you will need to use hand rails to climb up, over, and down some tricky areas. You will also not have service anywhere near this mountain. This had to by my favorite hike. 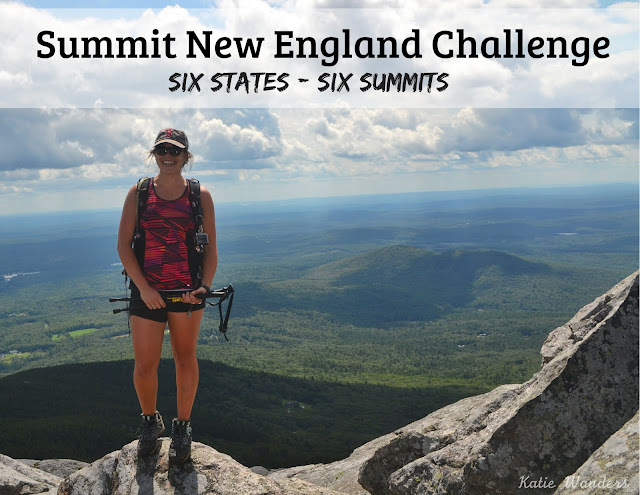 I loved the fame and views of Washington but for me, Katahdin is the big daddy of summit hikes for me. It is more challenging than Washington (read technical) and while crowded, is NOTHING like Washington which has an auto road, train service, and shuttle to the top. It also feels the most remote, the most pristine, so far from civilization in every direction. Katahdin's summit is only reached on foot. What makes it REALLY special is that this peak is also the end (northern terminus) of the Appalachian Trail. It is a special place to stand, as you watch AT hikers finish their trek on the trail, all the way from Georgia. 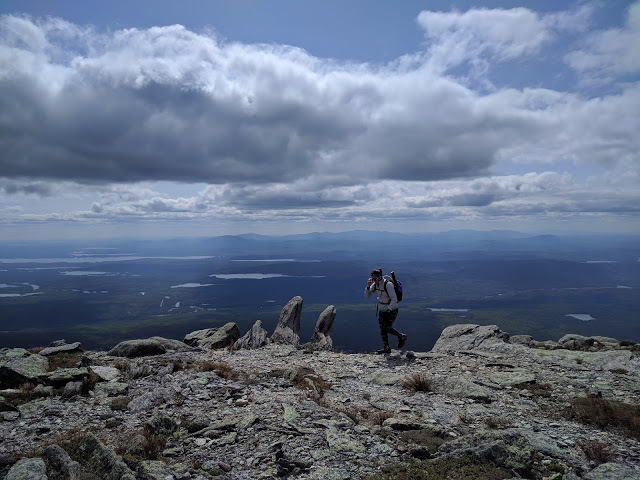 Katahdin can be busy but parking and camping is very limited meaning this is a hike that will require the most planning. On the upside, with Katahdin you also get to experience Baxter State Park, a glimpse of wild New England if you will. The 7-hour drive to Baxter (Portland makes a great half-way stop) is worth it to stand on this famous mountain summit. Want to see fall foliage like you have never seen it before? Catch the colors on your way up Mount Mansfield. The most stunning orange and reds I have ever seen down in the mountainsides below. This hike mostly above the tree line means you will spend most of the day taking in this wild landscape featured above. Spend some time in Stowe after and make a glorious weekend of Vermont's tallest peak and best little town. Mount Mansfield in Vermont greeted me with the most beautiful fall colors I think I had ever seen. Here in New England, our views while hiking are so often clouded by the thick tree cover which in turn, makes this section of the northeast so green. A lot of the hike is above the tree line making this hike along the ridgeline a really scenic hike with views for days. I was not prepared for views like this above as I made my way to the "Chin". I did this as a solo hike and loved spending time with my dog and my thoughts. Olive had a blast but some of the rocks and steep climbs could be tricky for some dogs. The foliage was at its peak in early October and this was a great place to see experience fall in Vermont. The trail is very popular and can be quite busy.- about 70% of the people on the trail were French Canadians. Make sure you stop at one of Stowe's (many) breweries after your hike. I loved this hike. I love Vermont. I can't wait to go back. Want to see more of Massachusetts than Boston? Make your way to the top of Mount Greylock. Hike it in a 13-mile loop to really see the area and hope for a clear day for stunning views. Enjoy being on the MA section of the Appalachian Trail and have lunch at the Bascom Lodge at the top of the mountain. 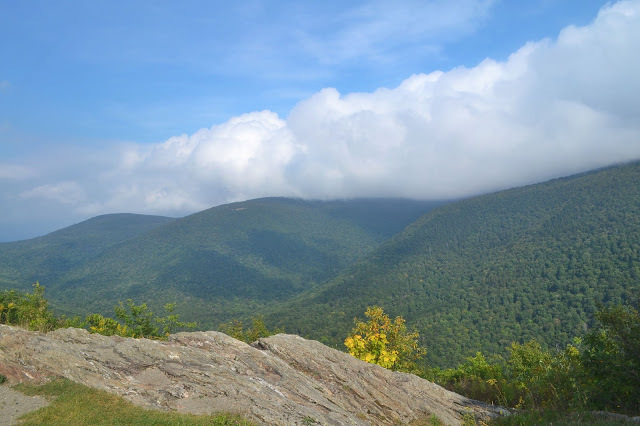 Mount Greylock in Massachusetts is a pretty hike in a pretty park in a pretty part of Massachusetts. It wasn't my favorite hike but it wasnt the worst hike I have ever done. The waterfalls along the way were gorgeous and I enjoyed being in this woodsy yet farmy portion of the state. It's one of those "summits with a road" so don't expect solitude at the summit. Better yet, you can expect a lodge... Bascom Lodge was a treat and we enjoyed some hot soup and the views in the middle of our hike. There are shorter hikes to the summit but I wanted to see the park so I opted for the 13-mile loop dubbed "Greylock In The Round". This was a great way to hike a portion of the AT, see a few waterfalls, hike along a river, stop at a few summits, and stop at the main summit. I loved the scenic overlook at Stone Ledge Vista. The hike was steep in parts and humid, but overall the elevation was spread out well over the distance. 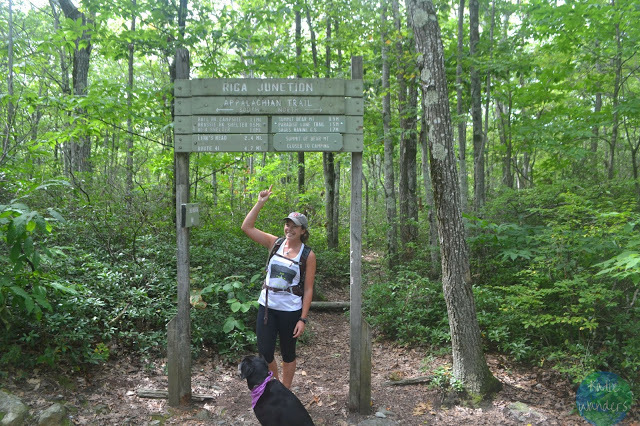 Want to see the quiet corner of Connecticut and walk the famous Appalachian Trail? Follow the AT up to the summit of Bear Mountain. A serene hike, a pretty ravine, an afternoon spent in the quiet corner of Connecticut. Bear Mountain is the highest mountain summit in Connecticut, but not the highest point in the state. Mount Frissell, 1.3 miles to the west is slightly taller. For this challenge, I sought out mountain summits so Bear Mountain made the high point (2,316' vs 2,380'). The hike and the view are nice but nothing compared to the other New England summits (RI excluded). I enjoyed the hike, the charm of the town, and the views from the summit. However, it is a little disappointing to see that Connecticut's highest summit is basically on the border of Massachusetts. This is a great way to get some decent elevation in Connecticu, and enjoy the covered bridges and bucolic towns in Connecticut. Want to hike the high point in Rhode Island? Its a wash - settle for standing at the top of the hill (don't worry Rhode Island, I still love you long time). While Rhode Island has some nice hikes, this one just isn't it, or even a hike. Rhode Island is an awesome state home to some of my favorite places (Jamestown, Newport, Oh my!) Its high point leaves a lot to be desired. There is no guide for this, just the admission that Rhode Islands summit is Jerimoth Hill, a large rock about 200 yards from where you park your car. The highpoint area is attractive, as is this part of Rhode Island, with lakes and verdant trees along the road. You only gain about 10 feet from the "trailhead". You can drive out there to stand on top of Rhode Island and say you did, and then go find a cool hike somewhere else. I didn't take a picture. I didn't write a trail guide. I am sorry and you are welcome. This felt like such a fun accomplishment and made for some pretty awesome memories (and photos). Being able to share these summer evenings with fantastic friends made the experience that much better. Special thanks to friends who joined me on the trail: Thatcher and Olive on Washington, Katahdin, Bear Mountain and Greylock; Courtney and Leni on Washington; and Ryan, Frank, and Jaimie on Katahdin. Hiking, camping, drinking, and laughing the whole way up and down these mountains.... you guys made this challenge so much fun.